Ahmad Shamlu - "this is a case of reverse lycanthropy… Shamlu is actually more animal or monster by nature but sometimes believes or pretends that he is human"
Ahmad Shamlu, Born Upon the Dark Spear, Trans. by Jason Bahbak Mohaghegh, Contra Mundum Press, 2015. Chasm. Mist. Dark Song. Hour of Execution. Behind the Wall. These are just some of the poetic titles of Ahmad Shamlu (1925-2000) that together form the cipher to one of the most powerful figures in modern world literature. Brought together here in translation for the first time, these selected works provide a gateway to the paradoxical imagination of an author who traverses immense distances of oblivion and light. On the one hand, Shamlu is known as a poet of night-raids and prison cells, dead-ends and burial orations, one for whom endlessly doomed horizons always keep him close to themes of martyrdom, fatality, rage, atrocity, and struggle. And yet, he is also the writer immortalized under the pen-name "Daybreak," a figure of illumination and ecstatic intensity who once declared himself the "vanguard of the sun" and who threatened to "hang the devil's lantern from the porch of every hidden torture chamber of this oppressive paradise." In a space caught between honor-codes and devastation, futility and apotheosis, one finds the poetic verses of Shamlu as among the first in a bloodline unbound-by-world. "this is a case of reverse lycanthropy… Shamlu is actually more animal or monster by nature but sometimes believes or pretends that he is human"
Ahmad Shamlu, The Love Poems of Ahmad Shamlu, Trans. by Arthur Lane and Firoozeh Papan-Matin, IBEX Publishers, 2005. Ahmad Shamlu (1925-2000) is among the most celebrated figures of contemporary Iranian literature. The poems presented here, capture ShamluÂs unique depictions of love. The narrator in these poems is a man intoxicated by the love of a woman; a woman whom we meet in the body of his love poetry; a female presentation whose characteristics are not fixed. Due to Shamlu's widely recognized prominence within the intellectual opposition, the mainstream approach to his poetry has largely evaluated it in terms of the socio-political background of the poet's era. Taking issue with this limiting approach, the present work emphasizes an alternative reading of Shamlu, based on a primarily aesthetic analysis of the theme of aphrodisiac love in his poetry. More specifically, the present text is focused on the poet/lover's meditation on a beloved elevated to the stature of a goddess. This woman's metaphoric identity casts her as the muse and the audience. She is, with all her attendant dangers, the poet's realization of beauty and desire for being.The Love Poems of Ahmad Shamlu incorporates poems that trace the development of the relationship among the lover, the beloved, and love, in ShamluÂs poetry. The selection includes poems that go back to the beginning of ShamluÂs career when he was still experimenting with language and style in search of his own poetic voice. 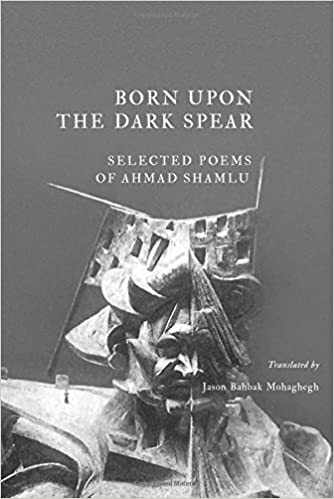 The chapters preceding the poems in translation, provide some insight into the life of Shamlu as well as his poetry.This work has valuable scholarly and pedagogic implications. While it is a contribution to the scholarship on the work of Shamlu, it also provides a concise translated collection that can be useful for students of Persian language and literature. This work can also serve as a textbook for courses in comparative and Persian literatures. Considering the growing interest in Persian poetry during the recent years, this book will further be of interest for audiences beyond speakers of Persian. Adolescence is a universally grave hour. Mine was made graver by a revolution in 1979 in my beloved birth country of Iran. The mutiny I felt within had an echo in the world without. On the streets, martial law was in effect. Tehran was burning, bleeding. A popular American belief holds that the act of writing can somehow save the writer. But having written a couple of books and countless essays, I disagree. What saved me was not writing, but reading. Ahmad Shamlu, a noted Iranian poet with a free-flowing style who was both at odds with the Iranian monarchy and disappointed with the Islamic movement that ousted it, died on Sunday in a Tehran hospital. He was 74 and lived near Tehran. He had long been ill, Iran's official news agency, IRNA, reported. 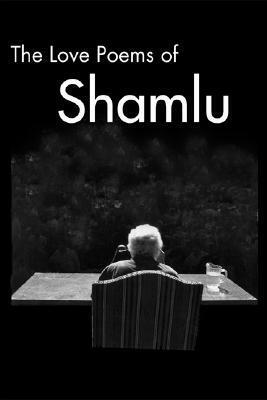 Mr. Shamlu was a longtime advocate of greater political freedom; some of his writings were banned both before and after the Shah of Iran was overthrown in 1979 in the Iranian revolution. He was given a Freedom of Expression award by Human Rights Watch, based in New York, in 1991. After his death became known, a radio station in Tehran called him Iran's greatest poet and began broadcasting poems by him. He was indeed considered his country's greatest modern poet by admirers. Ahmad Karimi-Hakkak, a scholar of Persian language and literature, called him ''the leading Iranian poet'' in an essay published in 1977, two years before the Shah was overthrown. was not of life. . . .
Today the theme of poetry is a different thing. Poetry today is the weapon of the masses. chain him, drag him all about. Before the Iranian revolution, Mr. Shamlu's poetry was popular with young people, but his advocacy of more freedom led to repeated arrests and jailings, and he departed Iran voluntarily in 1977 for exile in the United States. He returned in 1979, after the revolution, but he distanced himself from his disappointment with the new Islamic regime's authoritarianism (against which he spoke out) by concentrating on writing love poetry. And he spent his later years mostly in purely literary pursuits. Besides writing poetry, he was also a translator, critic and author of books for young people, and one of Iran's foremost intellectuals. He was born in Tehran and earned a literary reputation before entering his 20's. As a young man he acquired a love of classical music, but he was too poor to take up a career in music. in the path of the wind.